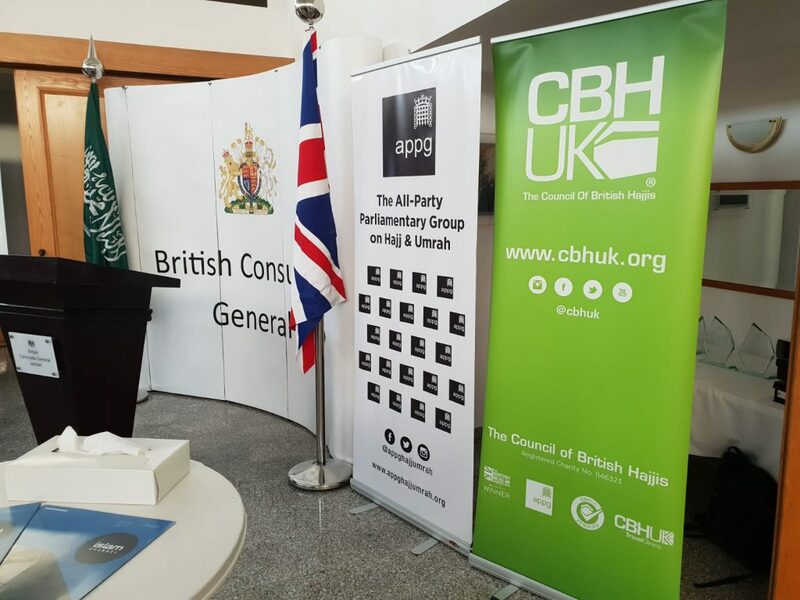 British Consul-General Mr Seif Usher hosted a UK All-Party Parliamentary Group (APPG) on Hajj & Umrah Delegation on Sunday at the British Consulate in Jeddah. 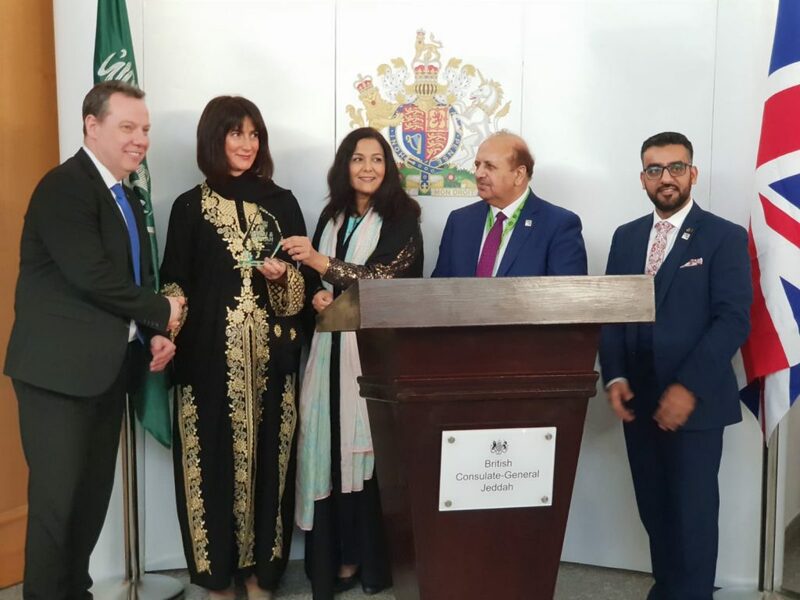 “I am delighted to host today’s reception in honour of the All Party Parliamentary Group for Hajj and Umrah, and to welcome Yasmin Qureshi MP – Chair of the APPG, and Vice Chair Lord Qurban Hussain. It is a pleasure to extend a warm welcome to the Deputy Minister of Hajj and Umrah for Hajj Affairs, His Excellency Dr Hussein Al Sharif. 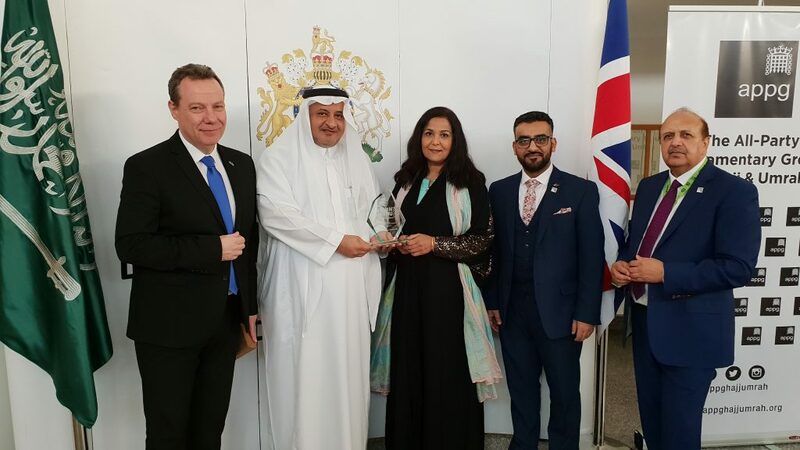 I would like to take this opportunity to thank Rashid Mogradia, CEO of the Council of British Hajjis (CBHUK) and all the other organisations and tour operators, for their efforts to support British pilgrims. “I would like to thank Seif Usher for hosting the cross-party group in Jeddah. 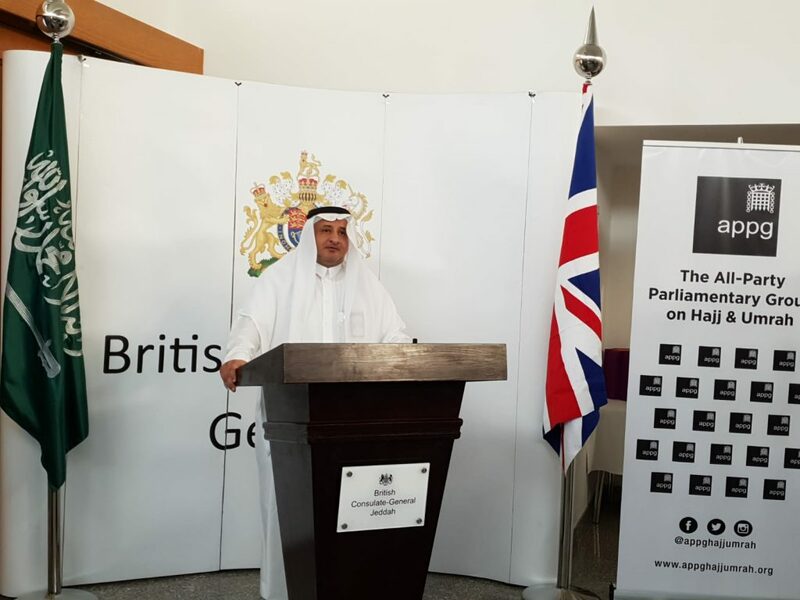 It is important that we understand the issues facing British pilgrims on the ground when they are on Hajj & Umrah and work closely with the British Consulate and the Ministry of Hajj & Umrah to address any issues so that people have a positive experience. 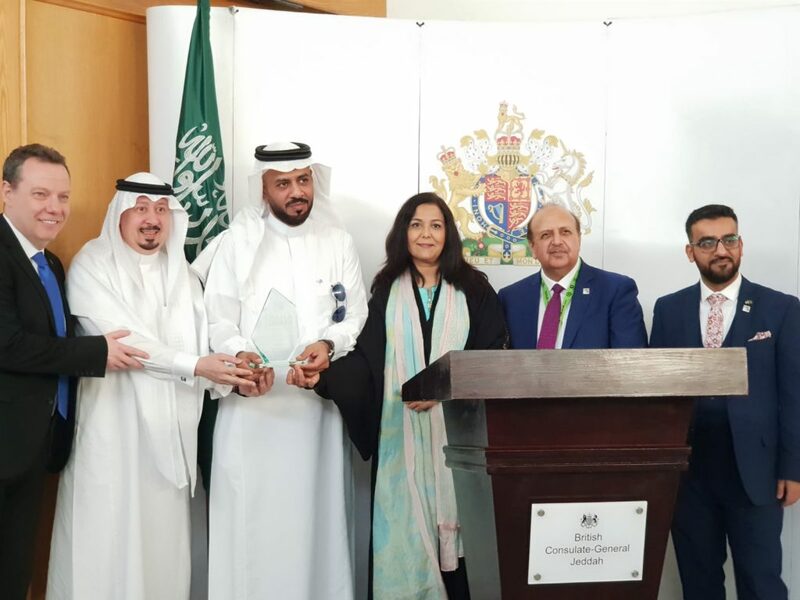 Lord Qurban Hussain highlighted the challenges facing the UK Hajj & Umrah industry such as Travel Fraud and outdated manual systems calling for the use of Technology by stakeholders which falls in line with the Kingdom of Saudi Arabia’s Vision 2030. Rashid Mogradia CEO of CBHUK and APPG Secretariat, highlighted the positive work of the charity and APPG in educating pilgrims when booking a pilgrimage package and the success of the recent Hajj Awards which sought to bring a positive outlook to the Hajj & Umrah sector held at the Intercontinental Park Lane London. The Hajj Awards is an annual event celebrating success and rewarding excellence within the sector. His Excellency Dr Hussein Al Sharif, Deputy Minister of Haj and Umra for Hajj Affairs collected the award for the Ministry’s eHaj System. 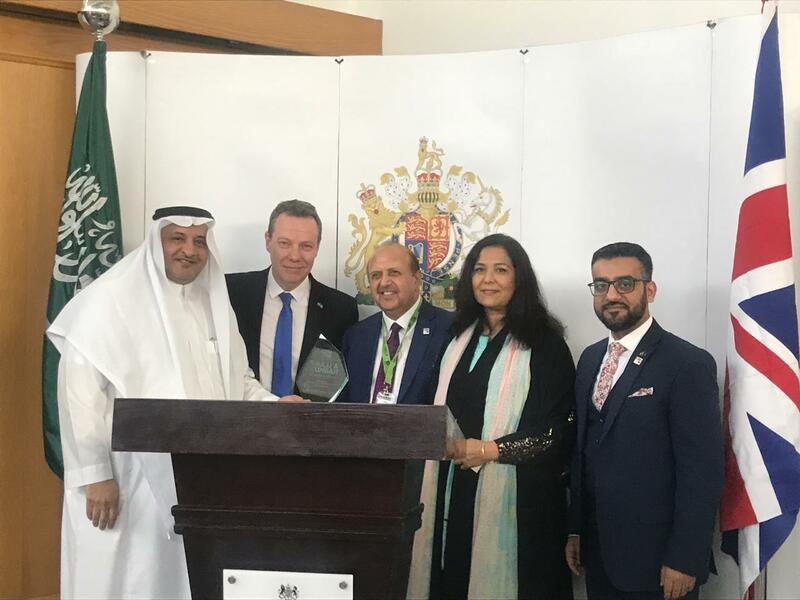 The British Consulate Jeddah collected the award for the Best UK Public Sector Award for services to British Pilgrims. 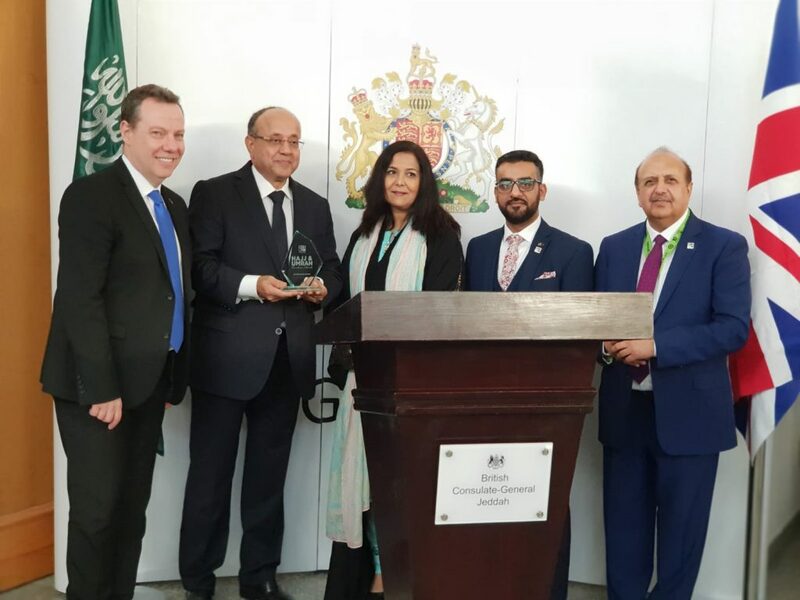 The CBHUK Appreciation Awards were presented to Zam Zam International Group, Fairmont Hotels and Saudia (Saudi Arabian Airlines). 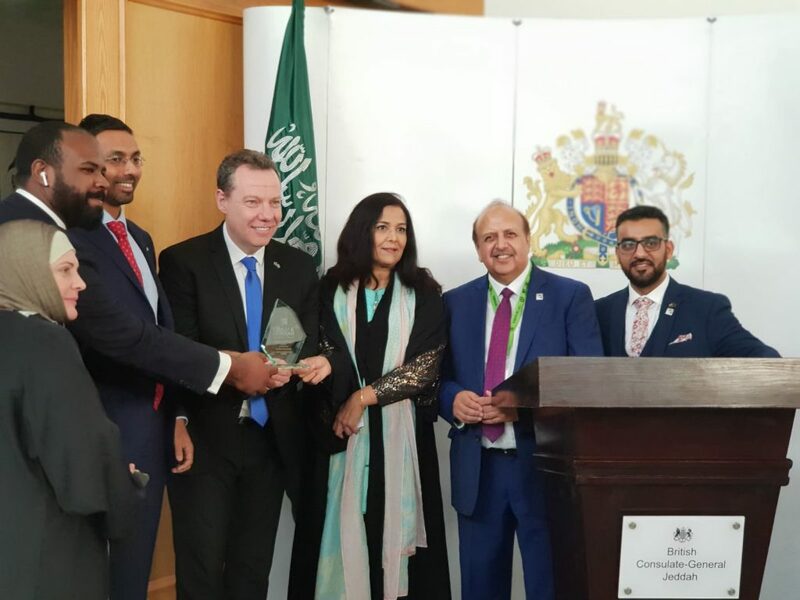 The delegation was accompanied by Khaleeq Taimuri (USI Money), Faisal Ali (Giftos Group), Muhammad Zaheer (Nabaile Young), Nadeem Qureshi (USOFT Solutions), and Prince Islam Elsawy (Elsawy Travel).